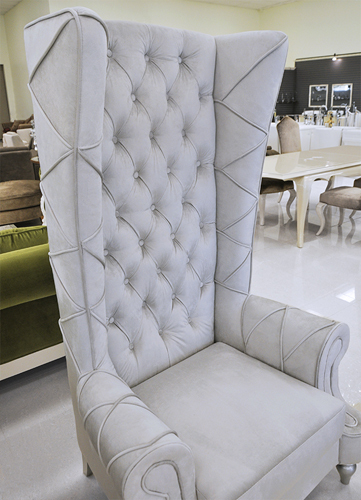 A chair fit for a Queen!!! 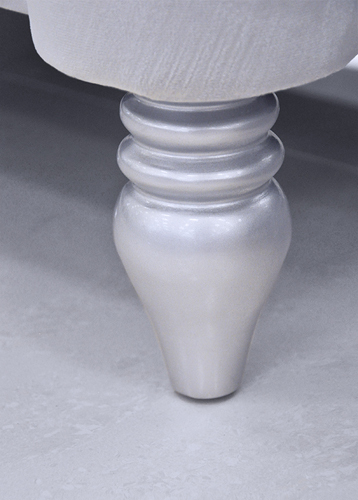 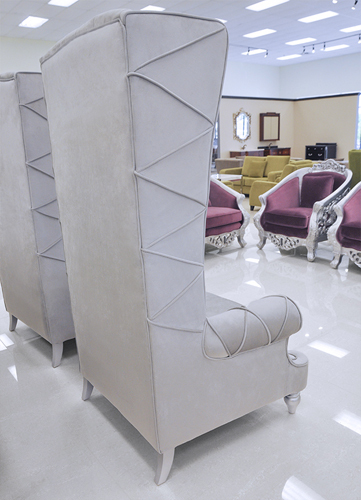 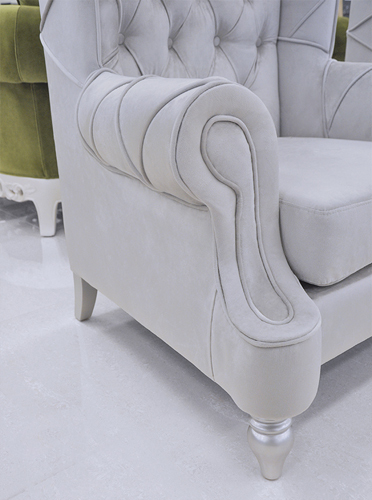 This elegant baroque high back chair is a mesmerizing functional work of art. 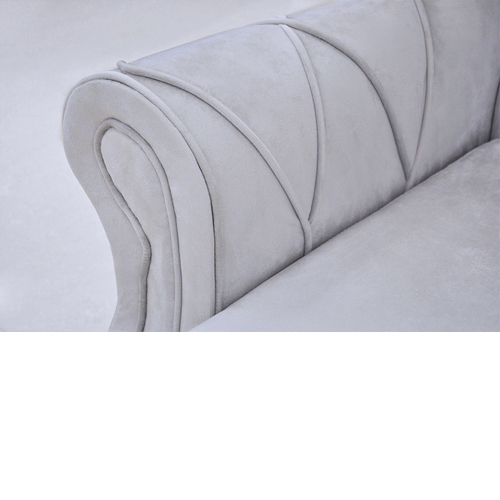 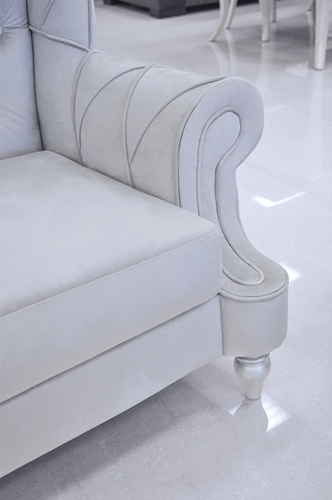 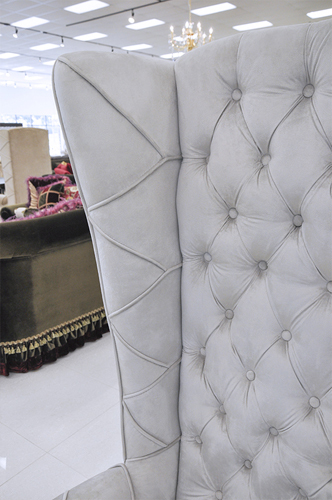 Upholstered in a beautiful plush velvet fabric and boasting rich rolled arms and wood silver-finished legs. 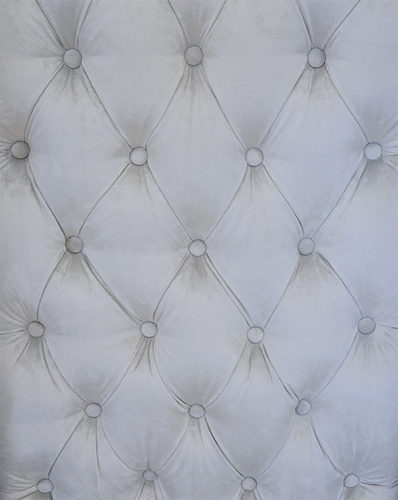 The compelling slender high back is tufted from top to bottom offering the business casual look or chic stand alone figure that mingles well in any commercial space or home decor furniture setting.